Changing the world, one woman at a time. 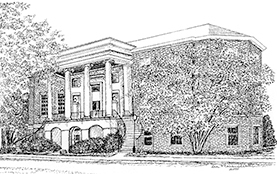 In 1836, Wesleyan College was the first college in the world chartered to grant degrees to women. Since that time, we've sent scores of women out in to the world, to do some pretty amazing things. That includes the first woman to receive a Doctor of Medicine degree and the first woman to argue a case before the Georgia Supreme Court. At Wesleyan, First for Women isn't just a claim to fame -- it's a philosophy that separates our learning community from all others. We're anchored in tradition and guided by an innovative spirit. Though we look back fondly on what we've achieved, we also look forward – to changing the way women are educated in the next century. Just when it seems we couldn’t possibly accomplish more, our “first for women” list keeps on growing. The U.S. National Forestry Pageant would like to thank Wesleyan College for providing a $12,000.00 Scholarship to Miss U.S. National Forestry Queen and Teen Miss U.S. National Forestry Queens. A $10,000.00 scholarship to the four runner-ups in the Teen and Miss U.S. National Forestry Pageant. Thank you Jennifer Eadie, 2011 Miss U.S. National Forestry Queen for helping make this possible.